Shake all the ingredients (except sparkling wine) together with ice in a shaker. Strain into a cocktail glass or bottle and top with sparkling wine. 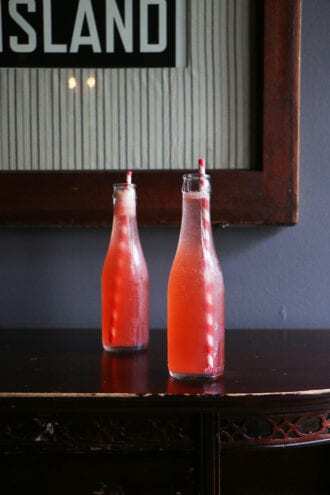 Rhubarb Syrup: Combine 3 oz. of fresh rhubarb juice with 1½ oz. of white sugar in a pot. Heat slightly until sugar is dissolved. Cool before use, and store in the refrigerator. This old-school eggnog recipe makes bourbon the star of the show.